We live in an era where its normal to be taking expensive doctor prescribed drugs for years or even for the rest of our lives. But in reality, these drugs are often unnecessary or worst adding fuel to an already simmering fire. Even more saddening is that the drugs are simply band-aids, masking the symptoms while the underlying issue remains. I am often asked by readers and clients what my thoughts are on drugs like statins, blood pressure medications and diabetes medications. As I'm not a doctor, nor am I that interested in pharmacology I've never been able to provide a solid response other than 'avoid them'. Nor have I been able to thoroughly explain why I do suggest avoiding drugs unless absolutely necessary. That was, at least, until I read the book 'The Paleo Cardiologist' by Doctor Jack Wolfson (DO, FACC) from www.thedrswolfson.com. 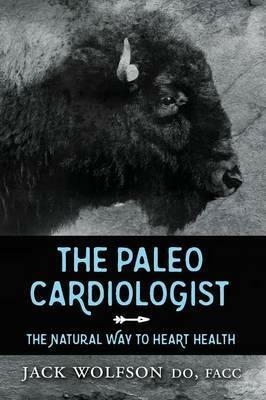 Now I highly recommend all readers and members of The Hormone Reset Program to purchase and read The Paleo Cardiologist, in particular chapter 6. As in that chapter, Wolfson does an amazing job of explaining why pharmaceutical pills are down right dangerous. However, I know that not everyone has the resources (time and financial) to go out buy and read a book, but I wanted to get this chapter into the hands of my readers. I reached out to Dr. J. Wolfson, explained the situation and asked if he would be OK with me publishing his chapter on pharmaceuticals for free on my blog. His answer was yes! Below you will find the full chapter 6 from the book - The Paleo Cardiologist - and you will soon learn why you need to rethink your ongoing drug prescription. If you or a loved one are regularly taking medication for cholesterol, heart palpitations, blood pressure or stroke, I highly recommend you read the full chapter below and invest in a copy of The Paleo Cardiologist. Americans spend trillions of dollars on billions of pharmaceutical prescriptions. In fact, drug manufacturers collected over $500 billion in revenue in 2013. For all of that money, you would think the health of Americans would be extraordinary. The reality is much different. In fact, our citizens die younger than people in Cuba and Costa Rica, despite the fact these are “developing” countries. Hopefully they are not developing our chronic diseases. In this chapter, we will discuss some of the biggest health issues within our society, and some of the medications Big Pharma promises will fix them. Amazingly, 90% of adults over age 60 take at least one prescription and 20% take over five different pills! The “pill for every ill” mentality must stop. Despite pharmaceutical corporations essentially owning the medical schools and paying for most of the research in this country, drugs rarely make us live longer or better. Pharmaceuticals do not cure disease, just as surgery is never a cure. These are cover-ups and Band-Aid approaches. The factors leading to a sickly gall bladder are still present despite removal of the organ, just as the cause of breast cancer is still present in the woman despite a mastectomy. This kindergarten logic has never occurred to the vast majority of surgeons with the “cut to cure” mentality. Should our medical system be geared toward removing most of our organs to avoid sickness? How idiotic does that sound? My wife tells the story of her patient who, at 45, already had six organs removed (gall bladder, tonsils, appendix, uterus, ovaries, and thyroid). The patient confided in Heather how she wished to have met her before all the organs were cut out. LIVE WELL: 90% of adults over age 60 take at least one prescription. 20% take over five different pills. Big Pharma sends in their fleet of models to wine and dine the docs, convincing them why a particular pharmaceutical should be prescribed. In fact, there are over 80,000 pharmaceutical representatives courting over 800,000 medical providers. The blatant payola today is not nearly as bad as in the ’80s and ’90s, yet Pharma still sponsors conferences and brings lunch to buy the love of docs. The reps almost make you feel guilty for not prescribing their drug, as if you would be committing malpractice. Actually, if you do not prescribe drugs in the guidelines produced by the medical elite, you could be found guilty of negligence. Who writes these guidelines? The doctors on the payroll of Big Pharma. Great system, huh? The correct prescription for the correct person at the correct dose leads to hundreds of thousands of yearly ER visits. An unfortunate (but true) quip is that every drug pulled by the FDA because of safety reasons was once approved as safe by the FDA. Long-term studies are rarely done, certainly not prior to drug approval. In many cases, only after enough people die is the drug removed from the market. Do you ever see ads from attorneys looking for victims in giant class action lawsuits? These guys advertise 24/7 because people are adversely affected by drugs, and in some cases, die. Atrial fibrillation is a chaotic heart rhythm usually treated with pharmaceuticals or surgery. Patients are also put on blood thinners, which carry plenty of risk, as discussed later in this chapter. How many thousands went through an ablation procedure to burn heart tissue as a cure for AFIB, when the cause was ibuprofen? Antibiotics are dispensed like candy to children and adults. There is rarely a true indication for these drugs, but doctors want to get patients out of the office quickly while attempting to make them happy. Usually patients come in with viral symptoms, looking for the cure through prescriptions. Antibiotics do not treat viruses! This overuse of an amazingly effective class of drugs has led to resistant bacteria. 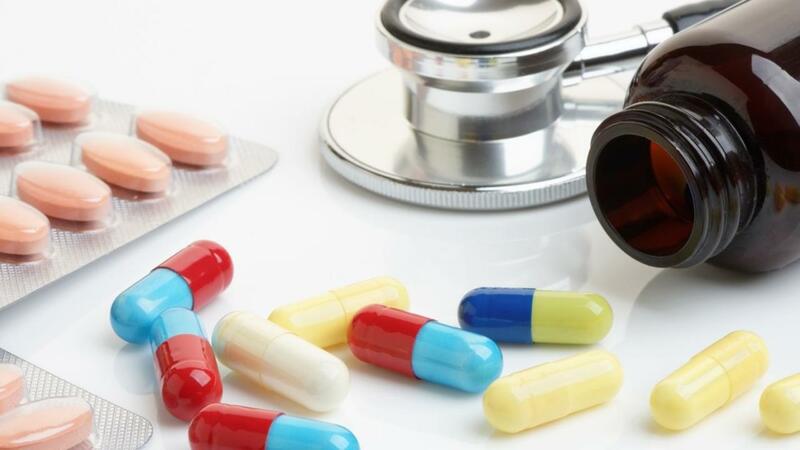 Doctors frequently reach for the newer and more expensive antibiotics, which will eventually render these drugs useless to soon-to-be resistant bacteria. All of this behavior stems from the fact that docs were catered with a free lunch. My father used to say, “Take antibiotics and get better in one week, versus seven days without antibiotics.” We need to save antibiotics for lifesaving infectious situations. Last but not least is the fact that all pharmaceuticals are tested on animals. Mahatma Gandhi said, “The greatness of a society and its moral progress can be judged by the way it treats its animals.” Our society should be embarrassed. Millions of animals are sacrificed every year to study new drugs. The animals are kept in deplorable conditions, are under constant stress, and are literally tortured, all for the purpose of testing the newest blood pressure drug or chemotherapy agent. Defenders of this practice will point to all the lives saved from animal cruelty. This excuse is just a clever marketing trick, as drugs and surgery barely increased our lifespan. Sanitation, clear water, and quality food are the reasons we live until 80. The money, time, people, and other resources used on animal research should be allocated to health education and prevention. Think about these living creatures, all feeling pain and suffering, the next time you reach for a Tylenol or Advil. Given what we just discussed, what is the evidence drugs used in cardiology lead to any benefit? We heard from the drug companies for years with their constant advertising and we heard from our doctors who practice mindless pharmaceutical medicine. Now follow me as we look at the current state of heart care. Cholesterol is the waxy, life-giving molecule mainly produced in the liver. We described its benefits in Chapter 1. Millions of people take statins to lower cholesterol and presumably lower cardiac risk. Billions of dollars were collected from the sales of Lipitor, Crestor, Zocor, etc. Yet is there any proof of their benefit? The fact statins lower cholesterol and LDL is not up for debate. They do, and sometimes dramatically so. Unfortunately for our brain, our hormones, our digestive tract, and every cell in our body, statins decrease the pool of cholesterol available. There is little information regarding the long-term effects of this class of drugs. We do know the extensive list of side effects includes diabetes, cataracts, muscle damage, liver damage, and low testosterone, to name just a few. Those on statins should be monitored for liver and kidney damage every three months. Let’s take a closer look at statins to decipher the benefits of this class of drug. This study, released in 1998, was a primary prevention trial with over six thousand participants without any known heart disease. Half the group received the statin drug Pravastatin and the other half a placebo (not active treatment). The results changed medicine as we know it, so brace yourself for these results (you might want to sit or lay down with this book!). The earth-shattering difference between groups regarding cardiac events was 4.9% in the drug group versus 6.4% in the placebo group. This was a grand total of 1.5% difference after 5 years on the drug. I am not impressed with 1.5%. Another way to look at this data is 63 people need to take the drug for 5 years in order to prevent 1 person from having an event. This important and illuminating statistic is called a “number needed to treat,” or NNT. Always ask for this information from your doctor regarding any therapy. One last amazing statistic for this group of patients— if 63 people take the drug for 5 years, 114,975 pills would be consumed to prevent 1 event! That is a lot of pills, and a lot of money for Big Pharma. But get this folks, the most important finding from AFCAPS was the number of people who died was the SAME in each group! Statins did not prevent deaths from overall causes. In the statin group, fewer people died of heart disease, yet more were likely to die from cancer and suicide. This critical information was glossed over by cardiologists, causing the spigots of statin production to open like floodgates. I guess cardiologists aren’t concerned how you die, as long as it is not heart related. You might like to know that AFCAPS was funded by Merck, the manufacturer of Pravastatin. Is it possible the people who fund a study can tamper with the results? This question should be asked about every study. We need to look beyond the headlines and see the motivation of the authors. Do you think it is possible a corporate executive could alter data in favor of the drug group? What do you think happens to the researcher who brings negative results to the corporate CEO when billions of dollars are on the line? LIVE WELL: AFCAPS was funded by Merck, the manufacturer of Pravastatin. No lives were saved by taking the drug. Why don’t doctors realize this snow job? There are many factors involved but in general, doctors are so busy seeing patients every ten minutes there is no time to read, and if they do, it is an article in a journal sponsored by pharmaceutical companies. The drug reps come in the office, stuff our faces, and show beautiful charts touting the glories of their pills. Medical doctors are no match for the powerful marketing efforts of corporations. They know our patterns and behaviors better than we know ourselves. I was very close with Big Pharma reps who revealed to me the detailed training involved in coercion. The reps are like highly skilled ninjas. In 1995, the results of the West of Scotland trial were released. This study looked at over 6,000 men over a period of five years whose average total cholesterol was over 270. Half the group received Pravastatin 40mg and half got the placebo. The findings from this study, along with AFCAPS, would propel American doctors to strong-arm their patients into the use of statin drugs. Unfortunately, women also received this recommendation, although scarce data exists to imply a benefit in females. West of Scotland showed after five years, the statin group had a 3.2% chance of dying versus a 4.1% chance. The number needed to treat (NNT) was 110 for this end-point, which again means that 110 people must take the drug for five years to prevent one death. The drug worked, but not by much. Again, I am not here to argue whether or not statins lower risk; the data suggests they do (unless you think corporate America would “doctor” the results for obvious reasons). My mission is to suggest to patients there is a way to reduce events much further with a goal of 0% event rates. In 2008 the results of the JUPITER trial were released. This study examined patients with an elevated CRP (a marker of inflammation) and thus an increased cardiovascular risk. Half the group received the cholesterol drug rosuvastatin and the other half a placebo. This trivial difference was dwarfed by news media sensationalism claiming thousands of lives would be saved if people took this drug. LIVE WELL: Over 200,000 Pravastatin capsules must be swallowed over five years to prevent one death. Admittedly, the statin data gets a little better using drugs for secondary prevention, where trial participants have a history of a heart attack, angioplasty, or bypass surgery. These numbers are not insignificant. Statin trials, especially in secondary prevention, show benefit. I am not here to argue this point (although conspiracy theorists may claim drug makers control the data). What I am here to say and what my medical practice is based upon is that there is a BETTER way to prevent and treat heart disease without potentially dangerous pharmaceuticals. The goal is not to reduce risk from 22% to 16%. The goal is to reduce risk to 0%. Despite drugs, 10% of patients died within five years of enrollment. Doctors must offer a better solution. Patients need to demand a change. Heart disease does not occur because the body lacks Lipitor, Crestor, or Zocor. All disease is from poor nutrition and chemicals, sprinkled with stress and inactivity. Now for the downside of drugs. I consulted on many patients who are intolerant of statins or suffered their side effects. Some, like my patient Tom for example, had severe muscle damage from a statin drug. 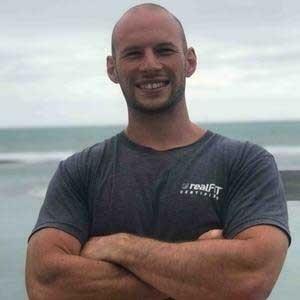 Even years after stopping the offending medication, Tom still has weakness and pain in his muscles. Thousands of patients developed severe muscle and liver damage from statin drugs. Other patients complain of memory loss and transient amnesia. These people literally lose all recollection for days at a time! An excellent book was written several years ago by Duane Graveline M.D. titled Lipitor: Thief of Memory. In his book, Dr. Graveline documents dozens of patients with memory issues from statin drugs. I personally think these people fall through the cracks (are covered up) in large trials ALL paid for by Big Pharma. Once again, the issue at hand is that statins limit the production of cholesterol, a critical molecule for cell function, hormone formation, digestion, and vitamin D production. There is no wonder why memory loss and amnesia occur in people on these drugs. Every cell in the body is dependent on cholesterol. Human life is not possible without cholesterol, even though it gets such a bad rap. Statins and other drugs for cholesterol do not address the cause of disease, thus representing another Band-Aid approach. LIVE WELL: The goal in treating heart disease is to find the CAUSE and reduce risk to 0%. “Your blood pressure is so high you’re going to have a stroke!” Medical doctors are great at scare tactics geared toward getting patients on drugs to lower blood pressure. Big Pharma shows an ad with a guy drooling in his wheelchair to hammer home the point. I am not saying high blood pressure is a good thing and hypertension certainly is not normal, nor is it the sign of a healthy person. Elevated blood pressure (BP) is a sign of disease, not a disease itself. The cause is not a beta-blocker or ACE inhibitor deficiency. Poor nutrition and chemicals are the causes, along with lack of physical activity, poor sleep, and increased stress. Elevated blood pressure or hypertension puts a person at increased risk over their lifetime for heart attacks, stroke, kidney failure, and death. The increased risk is seen in people with elevated blood pressure for many years. This fact, however, allows patients time to change their lifestyle and use supplements to achieve a better blood pressure reading. Hypertension is a sign of endothelial dysfunction (ED, not erectile dysfunction, which actually has the same cause). When these endothelial cells lining the blood vessel are not functioning normally, it can result in elevated blood pressure. Again, patients can improve endothelial function with nutrition and supplements. Sadly, the majority of doctors will not heed my advice. Instead, they will quickly pull out their prescription pad to write for the drug whose drug rep recently bought them lunch. 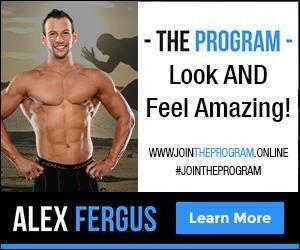 Why spend time discussing prevention tactics such as dramatic blood pressure reductions through nutrition and exercise? Beets, nuts, carb restriction, omega 3 fats, and dozens of other foods lower blood pressure. Additionally, chiropractic care, acupuncture, meditation, and yoga are proven to lower blood pressure. LIVE WELL: There are many ways to lower blood pressure naturally. So if your blood pressure is high, should you go on drugs? Most doctors will urge this course of action (which we were all trained to do), but what is the benefit? I will explain some data to you, but it is interesting that in early 2014, the blood pressure guidelines were revised. This means millions of men and women no longer need to take pills with all the risk and minimal benefit. How much money has Big Pharma stuffed in their pockets on the backs of those patients who never really needed the drug? Drugs can dramatically lower blood pressure, but do they decrease your chance of heart attacks, stroke, or dying? This is the question we need to ask. Why was your blood pressure medication started? So if the drugs do not decrease heart attack risk, why take them? Well, maybe they reduce strokes. Stroke was also an endpoint in the above trial, and the drugs did work. Stroke risk decreased from 5.5% to 5%. Number needed to treat, 200. Not very impressive. LIVE WELL: New guidelines suggest millions of men and women no longer need pills for high blood pressure. This subtle difference should not cause us to drive to the pharmacy, but rather to walk the aisles of a healthy grocer. This drug is still widely used over a decade after this trial was published. In fact, a recent review found the entire class of drugs similar to candesartan were linked to a higher cancer risk. (107) Read the last sentence again: CANCER. After five years, more people were alive in the drug group, but only by 1.8%, with a NNT of 56. Again, this means 56 people must take drug for 5 years in order for one event to be prevented. 55 people will take the drug and receive no benefit at all, yet be exposed to countless side effects. Even in this group of people at the highest risk, benefits were minimal. The stock of King Pharmaceuticals soared when the trial results were released. One 2014 study revealed that a person who takes blood pressure medication has a 40% increased risk of falling. Of those who had a serious injury after a fall, 17% died! Are you getting the picture? Drugs to lower your blood pressure provide minimal benefit, yet may result in profound risks to your overall health. Several drugs in this class were banned by the FDA (years after approval) or relegated to obscurity because of intolerable side effects. One banned drug was Posicor, found to increase deaths after some time on the market. Check out the side effects of drugs like reserpine, methyldopa, and hydralazine. In fact, check out the side effects of all drugs. Read about them on your own, not in the blazing 10 seconds at the end of a commercial. LIVE WELL: Drugs to lower blood pressure may cause serious harm. There are many examples of commonly used pharmaceuticals with trivial to zero benefit. Aspirin is one of those drugs, swallowed by tens of millions of people for the supposed prevention of heart attack and stroke. It is the single biggest sham drug in history. The American College of Cardiology specifically recommends aspirin not be used in healthy women under 65. The drug has small benefits for those who already suffered a heart attack. Why ingest a drug with minimal benefit that poses a substantial bleeding risk? An interesting study found aspirin given to a healthy 74-year-old man would reduce his annual risk of a cardiovascular event from 2% to 1.74% (absolute risk reduction is 0.26%, number needed to treat is 385). That means over 140,000 aspirins must be choked down to prevent one event. Do you believe this lunacy? The heart doctors are happy with miniscule benefits, while the GI doctors are thrilled with the increased business from the bleeders. The Bayer Corporation has the audacity to claim it prevents 1 out of 3 heart attacks! The commercials are all over television. Where is the FDA, and why aren’t they going after this false advertising? I can’t claim a multivitamin is beneficial because of the FDA, but Bayer can get away with lies and blatantly misleading information. On May 5, 2014, the FDA banned Bayer from recommending aspirin for the primary prevention of a heart attack or stroke. The FDA did not find evidence supporting aspirin use for those who never had a heart attack or stroke. This earth shattering statement, and clear rebuff of the Bayer Corporation, affects millions of people currently taking this drug. That’s right, aspirin is a drug. Sadly, millions of people take this dangerous drug for muscle and joint pain when there are many natural options. What is more important is finding the cause of pain (gluten and other food sensitivities for example). LIVE WELL: The side effects of aspirin use for heart disease are far greater than the benefits, especially for women. If you are unfortunate enough to wind up with a scrap of metal called a stent in your heart artery, a drug similar to aspirin is added. The most common of this class is clopidogrel, which has a trade name of Plavix. This drug has very modest benefit of keeping stents open when added to aspirin alone for the first year. Only a 3% reduction of events was noted in studies involving the Plavix/ aspirin group versus aspirin alone. After one year, little data supports any benefit to continuing on this aggressive blood thinner. Yet, the typical cardiologist tells patients to remain on this drug after the one-year mark, citing little downside. Sure, the only downside is double the bleeding risk when combined with aspirin versus aspirin alone. I stop this drug between 6-12 months after a stent in every patient. Medical bills are often cited as the number one cause of bankruptcy. Plavix, even generic, can cost a fortune. It is also known to interfere with other drugs, therefore increasing the danger of horrific bleeding. Some people are genetically predisposed to an increased bleeding risk on many drugs. There are genetic tests to guide the safety of blood thinners, but doctors rarely take the time to discover this information. Prior to Plavix was a drug named Ticlid, which the FDA finally pulled after several patients died. LIVE WELL: Plavix is effective in keeping stents open for the first year only. Another nasty player in the blood thinning toolbox is warfarin. Commonly known as Coumadin, this drug is used for stroke prevention in patients with atrial fibrillation. This drug started its career as rat poison (no joke). Coumadin is extremely overprescribed and only benefits those with the highest stroke risk. Stroke risk for the majority of people on the drug is reduced from 4% to 2.5%. Bleeding on warfarin can be catastrophic and deadly. It has significant food interactions and therefore must be monitored closely. Antibiotics, for example, can markedly affect drug levels and lead to a subsequent loss of blood. I saw this many times as a hospital physician over the years. New drugs on the market, such as Pradaxa and Xarelto, thin the blood, but there is no antidote that can reverse their blood-thinning effects in the case of an emergency bleed. The ambulance chasing attorneys are all over this drug class. Why take a drug with minimal benefit and so much risk? I love getting my patients off these dangerous pharmaceuticals. Please ask your doctor if this approach is correct for you. A common complaint in the cardiologist’s office is palpitations. Patients describe feelings of their heart racing, skipping, or thumping. Although there are many causes, these symptoms are often due to extra heartbeats called PVC’s, or premature ventricular complexes. Our friends at Big Pharma have an answer to everything, and for years a class of drugs known as anti-arrhythmics were used. How many died from the use of this class of drugs is unknown, but given they were available for many years, the number is likely in the thousands. Though this trial was more than 20 years ago, the point remains valid: who is watching out for the consumer? Others drugs require the patient to be hospitalized for days to monitor for safety. The sad situation regarding dangerous drugs is natural supplements, such as magnesium, potassium, omega 3 oils, and other nutrients, can remedy the situation. Once again, it is about finding the cause. Extra heartbeats can arise from nutrient deficiencies and metals/toxins, but are never the result of a lack of pharmaceuticals. I treat patients whose symptoms resolved after eliminating caffeine, gluten, or corn. For others, it may be a sign of sensitivity to dairy or eggs. Patients must demand their doctor find the CAUSE. I am successful because I find the cause. LIVE WELL: Your morning coffee or afternoon sugar snack could be the cause of your symptoms. Let us talk briefly about Type 2 diabetes. Over 20 million Americans carry this diagnosis of elevated blood sugar, which increases the risk of heart disease, strokes, cancer, and dementia. Elevated blood sugar is from eating sugar and carbs! Combine poor nutrition with chemicals and: 1) the pancreas cannot produce enough insulin, 2) the tissues of the body become resistant to insulin. Insulin is the key that opens the door to cells allowing energy (as glucose, protein, and fat) to enter. When blood sugar is too high for too long, insulin becomes the key that can no longer fit in the lock and open the door. Corporations know people don’t want to change their diet or exercise, so pharmaceuticals are developed to lower blood sugar. Tens of billions are spent on this class of drug every year to keep levels under control. But as we saw with statins and blood pressure pills, lowering numbers does not necessarily lower cardiac events. Sometimes, getting too aggressive does not pay off in health dividends. Questions remain as to why this therapy increased mortality, but it is reassuring to those with diabetes that the answer is actually quite simple— stop eating sugar and carbohydrates, which cause diabetes and high blood pressure in the first place! Eat Paleo and watch your blood sugar normalize and cardiac risk go down. I witnessed this in my patients thousands of times, and it can happen for you as well. Take my patient Ray M. for example. His fasting blood sugar at our first visit was 145. After three months on Paleo nutrition, his blood sugar was 96. It is so simple. LIVE WELL: Drugs designed for reducing diabetes and high blood pressure do not necessarily lower the risk of cardiac events. This list is literally hundreds of drugs long. During my residency, we passed out Trovafloxacin and Baycol as if they were candy. Anyone who was even slightly overweight was offered a prescription for Fen-Phen, until the drug was pulled by the FDA (it was cited for increased cardiovascular risks). The maker of the Fen part of the combo had legal ramifications to the tune of almost 4 billion dollars! (122). How many millions suffered the dreaded side effects of pharmaceuticals that were CORRECTLY prescribed? Actually, drugs don’t cause side effects. They are chemicals that do not know what they are supposed to do. They just go into the body and “effect” things. How many thousands needlessly die from incorrectly prescribed drugs and pharmacy errors? The pill-for–every-ill mentality must stop. The human body is the best pharmacy, as it knows exactly what to produce at exactly the right time. Just put in the correct fuel. While I am on a roll, the benefit of drugs used for dementia, arthritis, and even cancer amount to trivial benefit, if any at all. For example, Tamiflu, a drug to fight the flu, was shown (in a study paid for by the manufacturer) to reduce flu symptoms from 7 to 6 days. Yes, you read this correctly. Tamiflu cut the duration by 1 day. If you watch TV, advertisers seem to claim this sham of a product prevents everything from the common cold to HIV. The government has amassed billions of dollars’ worth of this drug in case of a national emergency. Do you think the manufacturer has the ear of the politician in charge of ordering this drug? They have that ear because of campaign contributions and other perks. Two eye-opening books that influenced my transformation to a natural doctor were Overdosed by John Abramson, MD, and The Truth about Drug Companies by Marcia Angell, MD. The latter was the first woman editor- inchief of the prestigious New England Journal of Medicine, who then turned whistleblower. There are more of us speaking out than ever before, and surely others will follow to topple the sickness paradigm ironically referred to as the American health system. Medical doctors and pharmaceutical companies keep promising the mythical polypill to prevent disease. This magic combination of different drugs in a single capsule will allow us to eat all the crap we want while we sit on our toxic couch, smoking cigars, and drinking beer or wine. The public waits with bated breath. But when will the synthetic health elixir be available? The answer is never. Only prevention with nutrition, chemical avoidance, detoxification, de-stress, and exercise will truly make a difference. There are no shortcuts. Take my patient Sheila who, at the age of 47, was on several drugs. She came to see me when she heard I look for the cause of disease and get people off pharmaceuticals. She felt fatigued and had muscle soreness since starting on her drugs over two years ago. She believed her memory was not as sharp, and she had trouble with name recall and finding her car keys. Also, heartburn plagued her for the last few months. The first pill I immediately stopped was Fosamax, a drug used in patients with osteoporosis for fracture prevention. I explained to Sheila osteoporosis was not a disease of Fosamax deficiency, it was from poor nutrition, lack of exercise, and chemicals. We stopped it immediately because the benefit of the drug is trivial at best and fraught with side effects, including the heartburn she experienced. She was also on a pill for cholesterol and a pill for high blood pressure. Sheila provided me with a history of never having a blood pressure above 150 systolic, yet her previous doctor felt drugs were necessary. The same doctor prescribed a statin drug because her total cholesterol was over 200; “My wife takes it” was his final push for Sheila. We stopped both pills immediately. The only pharmaceutical that remained was thyroid, which we would successfully stop in the near future. After eliminating the above-mentioned drugs, within one month Sheila was a new woman. Today, with nutrition, supplements, exercise, and chemical avoidance, her “numbers” are normal. In fact, she is taking courses to become a health coach to teach others about alternatives to conventional medicine’s pills and procedures. Martha P. came to see me for hypertension and wanted to get off her two pharmaceuticals. 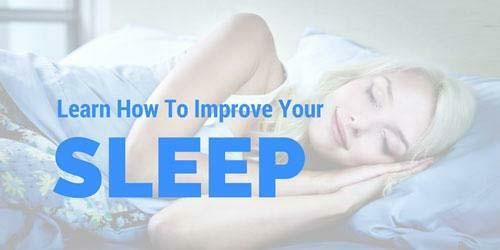 With dietary changes, adding beetroot powder, taurine, and magnesium, stress reduction, and improved sleep duration, the drugs were able to be stopped. eek consultation from a natural doctor who has the experience of thousands of patients to call upon. Each person is unique, and in-depth knowledge is required to get you on the correct health path. What are we doing to address the cause of my condition? 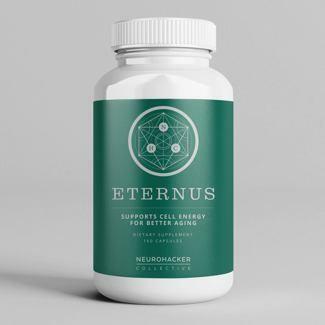 Are there any natural alternatives to the drug you are recommending? What are the studies showing this drug is effective? What is the number needed to treat (NNT)? My favorite. How will you monitor the side effects? You, as the consumer and the patient, must ask your doctor serious questions and demand answers. Your doctor will not like to be questioned since they are not accustomed to any interrogation, and frankly don’t have the time during your 10-minute visit. Frequently, the doctor does not know the answer. If these are issues with your current healthcare provider, you need to find one who can work with you as part of a team with the goal of a long, happy, healthy, and drug-free life. 96 Annual Review of Public Health. Vol. 33: 157-68. 98 BMJ Open. April 8, 2014. 100 N Engl J Med 1995; 333:1301-1308. 106 J Renin Angiotensin Aldosterone Syst. 2002 Jun;3(2):61-2. 107 Lancet Oncol. 2010 Jul;11(7):627-36). 110 Cancer Epidemiol Biomarkers Prev. Published Online First May 15, 2014. 112 Br J Clin Pharmacol. Mar 2003; 55(3): 282-287. 113 Arthritis Rheum. 2000 Jan;43(1):103-8. 114 Isr Med Assoc J. 2006 Oct;8(10):679-82. 116 Am Surg. 2014 Oct;80(10):920-5. 117 Acta Otorhinolaryngol Ital. 2014 Apr;34(2):79-93. 118 N Engl J Med. 2014 Dec 4;371(23):2155-66. 123 JAMA. 1998 Apr 15;279(15):1200-5.